Mercedes-Benz has chosen the Shanghai auto show to debut a new four-door coupe to the automotive world. 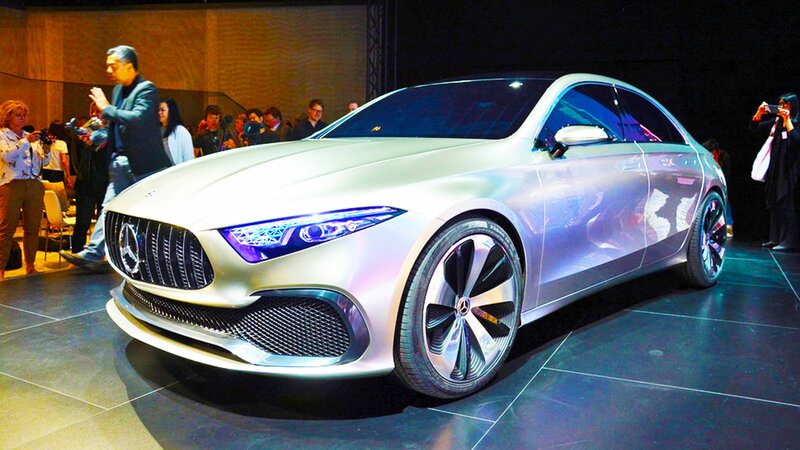 Mercedes-Benz has unveiled a new concept at the Shanghai auto show. We first got an interesting look at the design language back in January when MB showed off the Aesthetics A Concept that would eventually become the Concept A Sedan. Where the A Concept looked like an unfinished creation that was birthed right from the thoughts of the designers, the Concept A looks like it's ready to hit showrooms now. 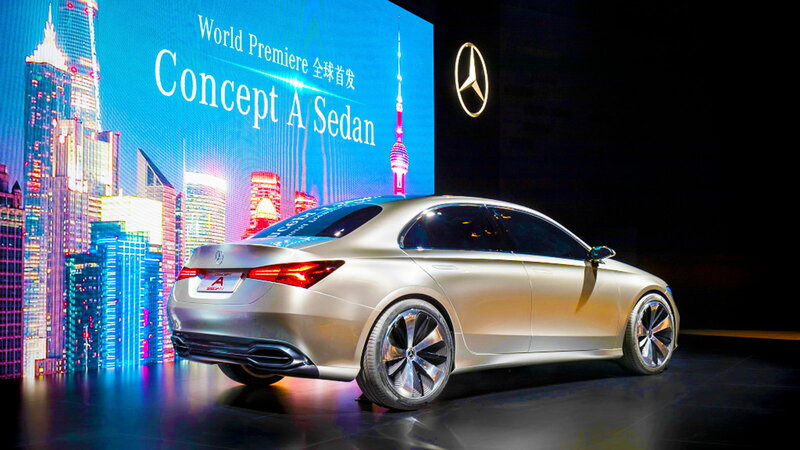 >>Join the conversation about The New Concept A Sedan right here in the Mercedes-Benz World Forum! With a body that harkens to thoughts of the CLA-Class, the car takes the lines to another level with fewer creases and a more graceful execution. However, there are more straight lines than the original CLA as the car appears to have been born smack in a wind tunnel rather than on a sketchpad. Mercedes-Benz is stating that this new path will be called "Sensual Purity" and we can totally see it with the stance of the car evoking a feeling of a jungle cat in the night preparing to pounce on unsuspecting prey. Those UV-reactive painted headlights are just incredible but I have no idea what sort of dark arts were used in order to bring them to fruition. 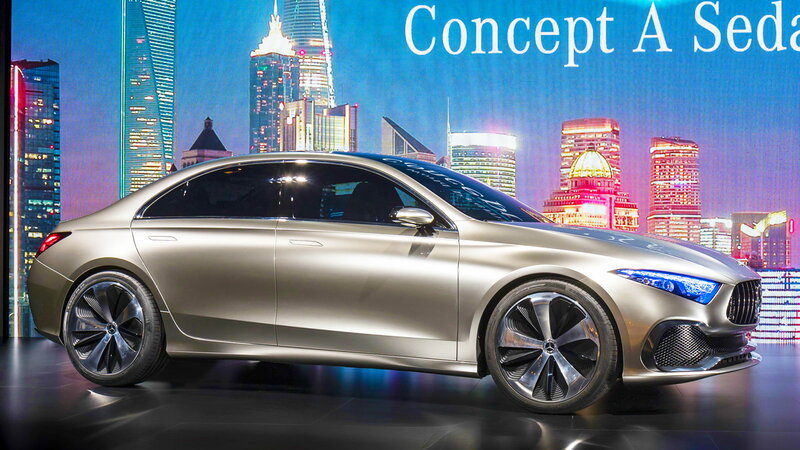 The Concept A Sedan continues on with the coupe-sedan lines but doesn't adhere to a coupe's rakish lines as much as before. The whole vehicle measures just under 180 inches in length and 73.6 inches in width. The lines on the hood, which Mercedes-Benz refers to as "Powerdomes," and across the beltline of the car create a beautiful curve which is similar to the those found on the C300. The more upright roof height will give the sedan an airier feel beyond that of its size. The car also has elements of the current AMG GT as well as the AMG GT Concept vehicle that appeared at the Geneva auto show. 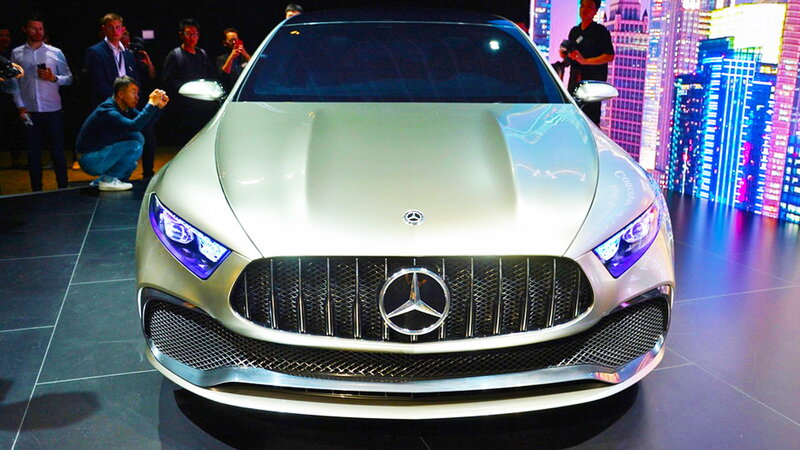 The Concept A has the same style of the grille that the GT Concept had with forward angled chrome inserts, thin headlights, and a low hood. Underneath that wide grille is a single opening to allow even more air in that will flow on both sides of the engine. Deviating from the industry tradition of leaving off the side mirrors, albeit, ones that seem a tad bit small but are present. Unfortunately, no matter how close to production this concept may appear, MB did not provide any specs or hints at what vehicle would be capable of. The Concept A Sedan is now strictly an exercise in design and its future is anyone's guess. One thing you can count on is even if the Concept A Sedan never reaches production I'm sure we will see elements of the vehicle disperse to various other in production models. For help with service and maintenance of your Mercedes, check out the how to section of MBWorld.org.